When selecting your window shutters, finding a manufacturer who uses durable materials that also enhance the aesthetic of your home should be the ultimate priority. 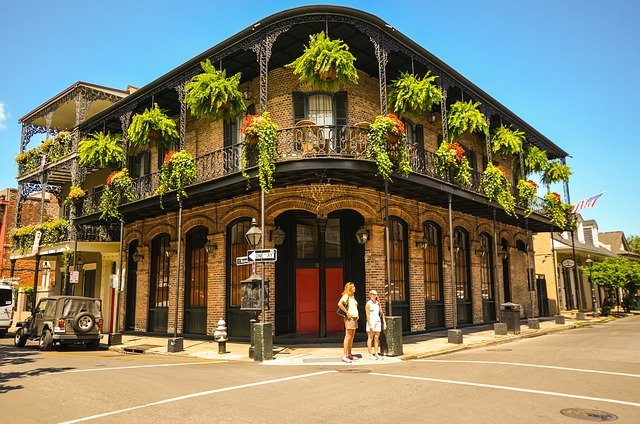 Our team at Master Aluminum has decades of experience as a wholesale manufacturer of aluminum shutters in the New Orleans marketplace, and we can offer you access to the highest quality shutters available in the industry. As the leading manufacturer of superior quality shutters, all of our products are designed according to the highest standards within the industry. We use welded frames to ensure each product we manufacture is designed to stand the test of time and remain in ideal condition for years to come. When you turn to Master Aluminum, you will have access to products in a wide range of styles to suit your exact requirements for improving your property. Our product line includes items approved by the Florida Building Code and designed specifically for use in areas of high-velocity winds. It also includes architectural and decorative products designed to maximize the value of the property. Our products are offered in an assortment of color options intended to blend seamlessly with your home design aesthetics. We can help you consolidate the cost of your property improvement project by offering wholesale pricing on the finest shutters in the marketplace. We pack, ship, and complete powder coating at our offsite facility, allowing you to save money while retaining access to the best products. Our team at Master Aluminum understands the challenges that homeowners face in trying to access the finest shutters for their property. That’s why we have built an effective manufacturing process to minimize the issues our clients face. Our method includes pinpoint quality control, fast shipping, and top-level customer service to give clients the shutters they require at a market-low price point. The HV Bahama Hurricane Shutter is the premier option for those in areas of the country prone to hurricane-strength winds. These storm shutters are designed according to the Florida Building Code for Non-High Velocity Winds and provide exceptional protection to the property. This product is designed to help homeowners avoid the issues associated with aging wood shutters by using high-strength aluminum products. The quality design of the HV Bahama Hurricane Shutter means you don’t have to sacrifice aesthetics for high-level protection. Like the Bahama Shutter, the HV Colonial Hurricane Shutter is an excellent choice for environments that experience hurricane-strength winds. This product is designed with a stainless steel bolt and wingnut to provide reinforced strength within hurricane conditions. One of the leading reasons so many homeowners now select the HV Colonial Hurricane Shutter is that it is designed to combine style and performance. We work to provide you with many color options when you select our stylish storm shutters for your home. Whether you wish to choose a color with modern aesthetic appeal, such as Water Blue, or a more traditional option, such as our Smokey Beige color, we can help you adapt the shutters to your unique design tastes. We also offer our colonial shutters with nail fins for further durability and specific home upgrade projects. In addition, our shutters can be designed for installation at non-traditional mounting angles to suit the needs of all building styles. Arched shutters are very popular within the current marketplace. We now manufacture a range of arched shutters and offer both our Colonial Shutters and our Bahama Shutters in arched designs for the modern home. 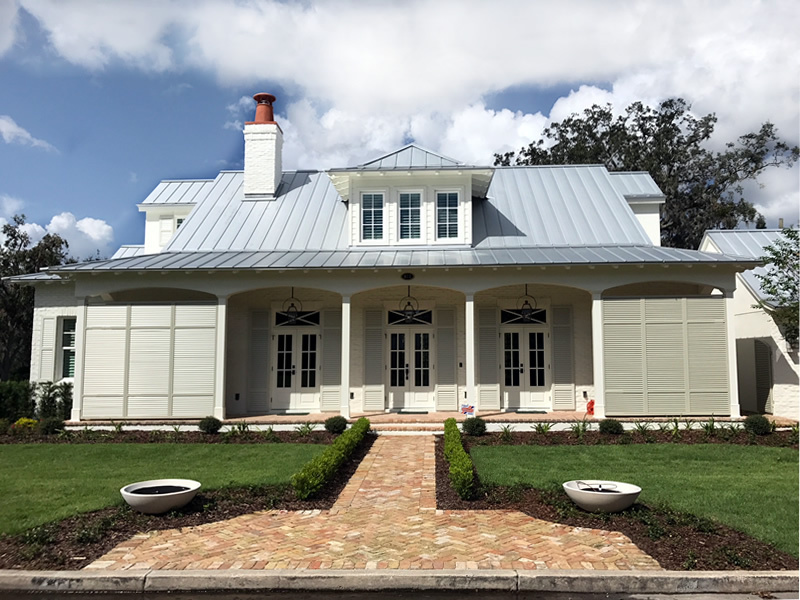 When you turn to Master Aluminum, you’ll be working with a company that has many years of experience in building shutters for the New Orleans region. We work to protect local homes and continually innovate within our design process to further ensure product durability. Our commitment to excellence in design and production has helped our company continually grow as a leading New Orleans shutter specialist. To learn more about our company and the products we offer, please contact our team today online or call us at 727-725-1744.